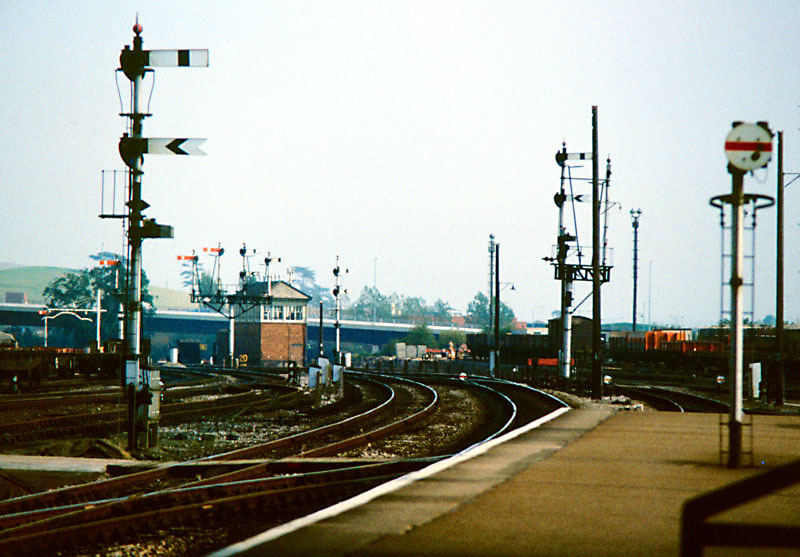 Taunton East Junction was where the goods lines (left) diverged from the main and relief lines into the London end of the station (top right). Just beyond the box, its down starters (with West Station's inner intermediate distants) and up innerhomes can be seen. 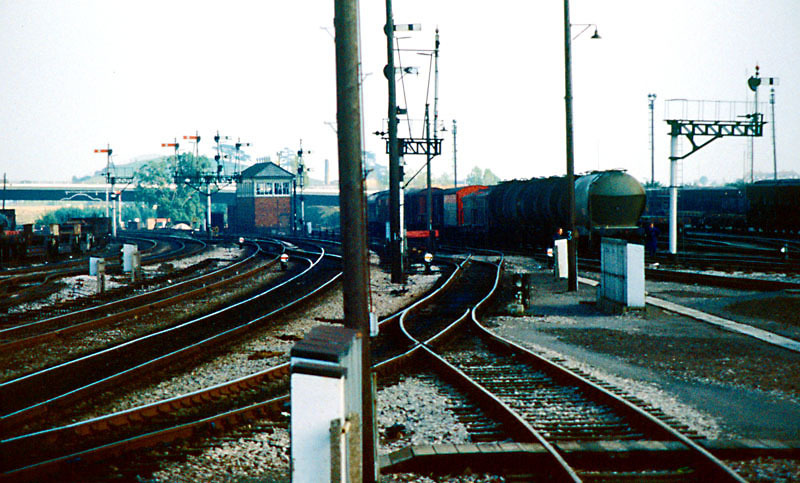 Originally, the goods lines rejoined the others at Taunton West Junction, but after the latter's abolition in 1971 the converging box became Silk Mill Crossing. The view in the opposite direction, towards Cogload. 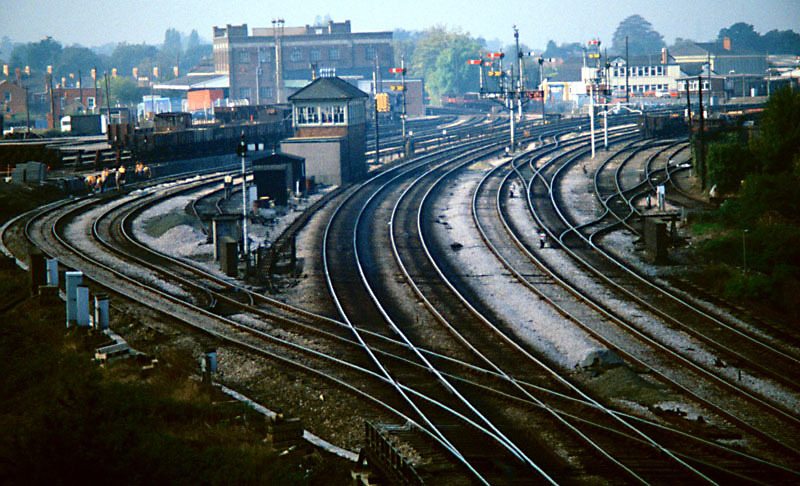 Prior to resignalling, there were still main and relief lines in both directions as far as there. 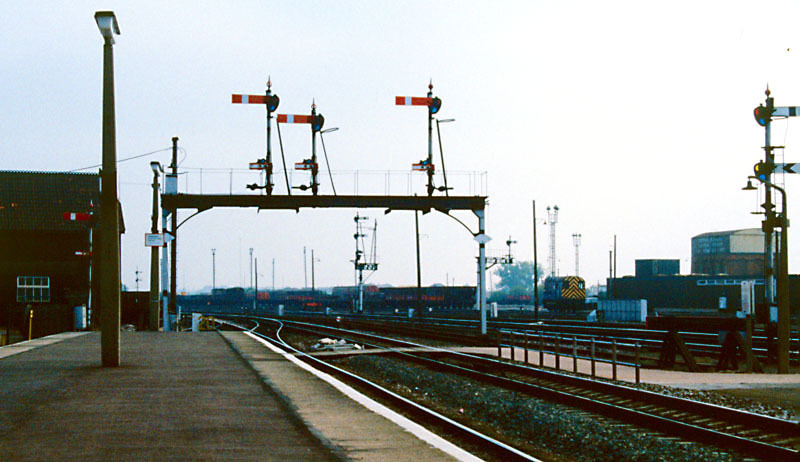 At Cogload, the relief lines (outside) continued towards Bristol and the main lines towards Athelney. 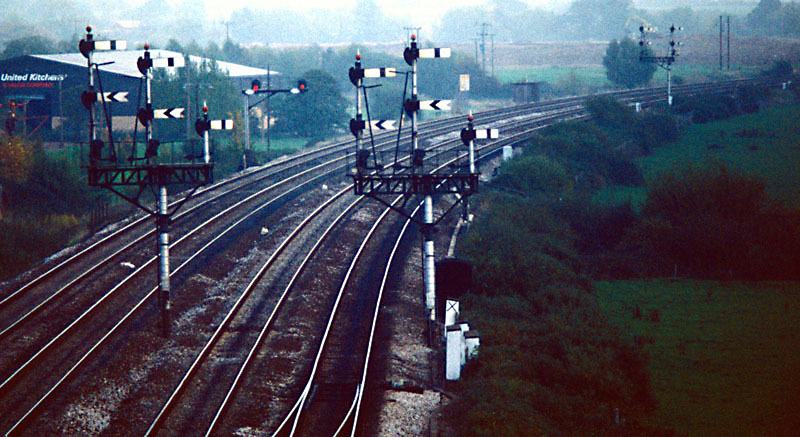 Cogload could switch trains (in either direction) between the main lines and the Bristol line, but not between the relief and Athelney lines. The down homes and innerhomes, and colour-light up advanced starters, can be seen. The up bay, relief and main homes (L-R). 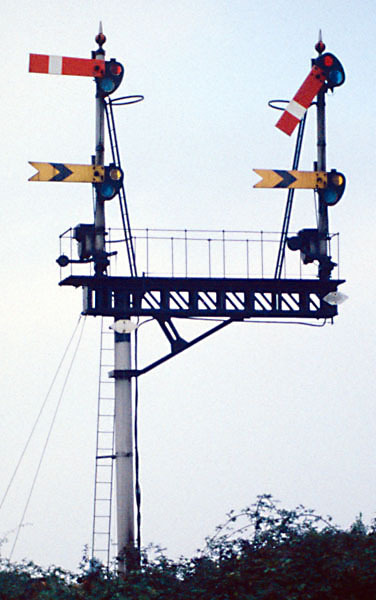 The down main and relief advanced starters. 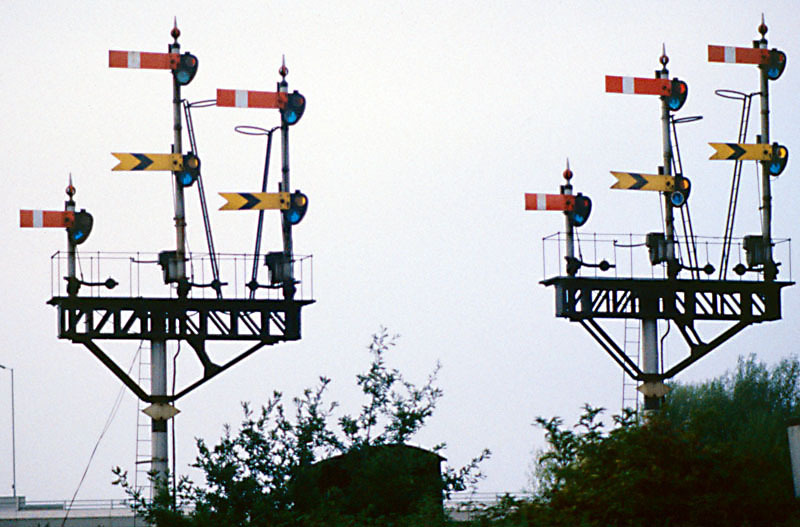 It was most uncommon for the next box to have distant arms under all four of the previous one's stop signals. A wider view from same location (down relief platform). On the very right is the down goods starter.